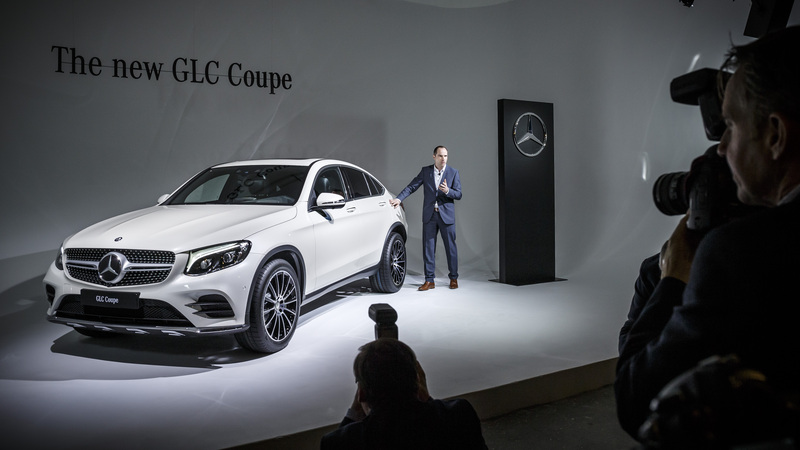 Mercedes-Benz has released a set of images right from the New York International Auto Show, featuring the world premiere of the dynamic and stylish new GLC Coupe. 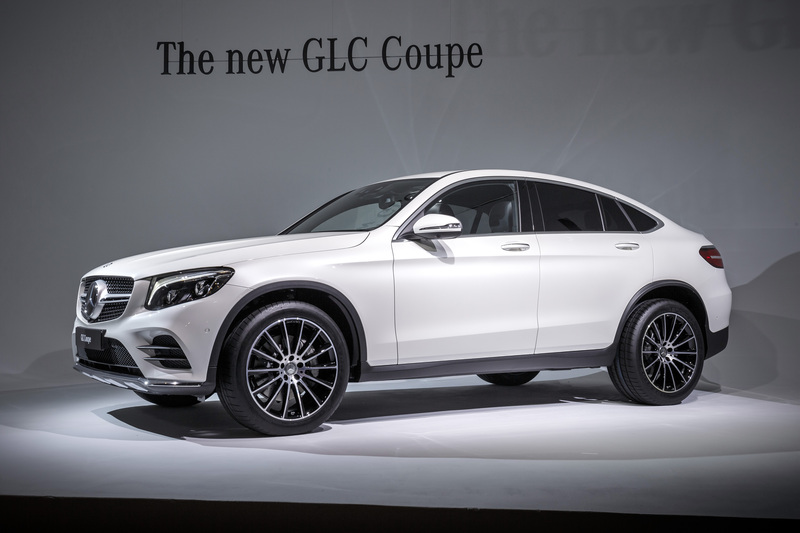 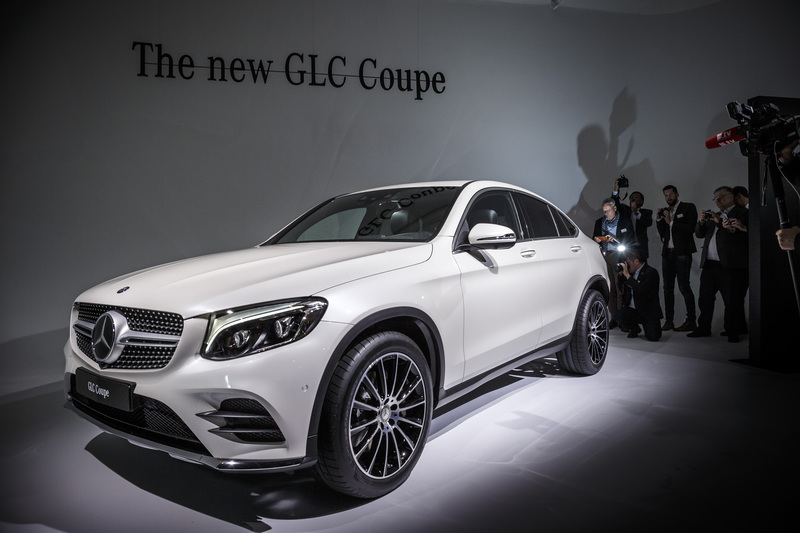 The concept version of the GLC Coupe made its debut in Shanghai last year, and now we’re seeing the full production model for the first time. This new model in Mercedes-Benz’s expanded SUV range marries SUV size and power with the styling of a Coupe, which results in a car that the company feels represents the brand’s bipolarity. At the front, you know you’re looking at an SUV, with a large front grille featuring a raked diamond style around the Mercedes-Benz emblem, large lateral air inlets, and the distinct Mercedes lighting. 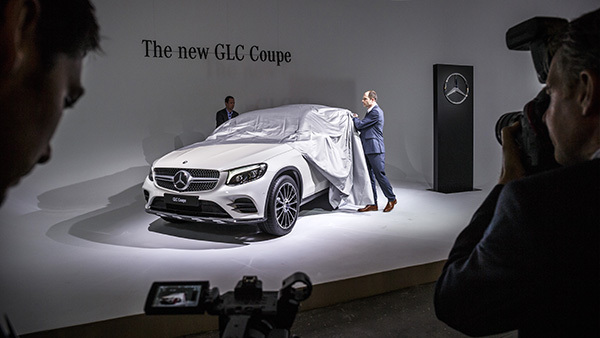 On its side, the GLC Coupe measures at 1.6 meters high–obviously an SUV trait–with a rear that’s built to be more like a Coupe. 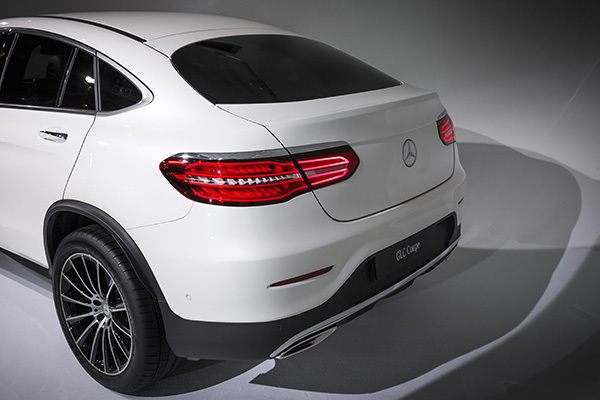 Side running boards are available as an option, as well as wheels that go to 20 inches. 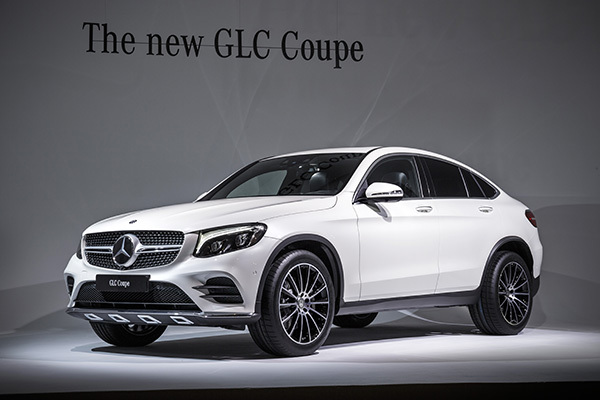 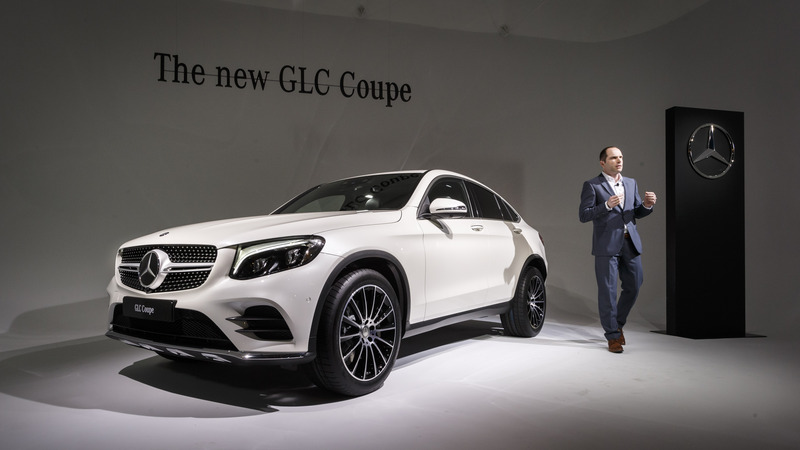 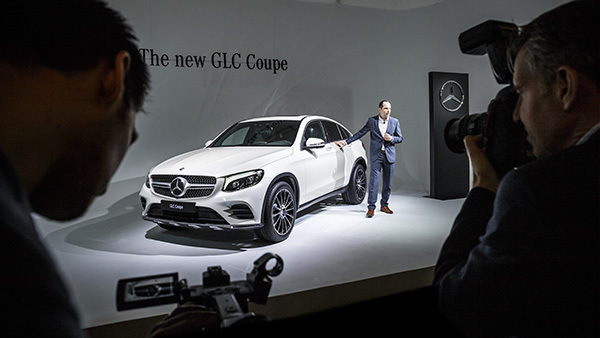 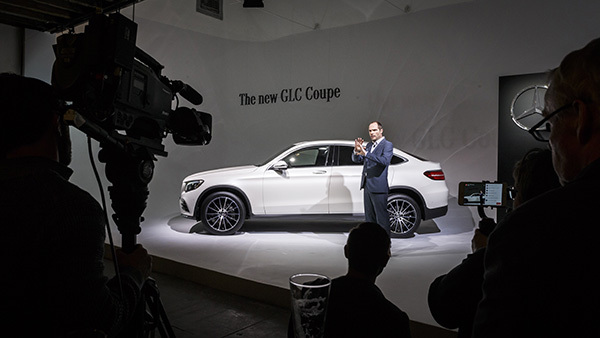 There are eight variants of the GLC Coupe upon initial release, with four petrol engine and four diesel options. Daimler design chief Gorden Wagener described it as “hot and cool” and says the car showcases Mercedes-Benz’s style philosophy while embodying contemporary luxury.